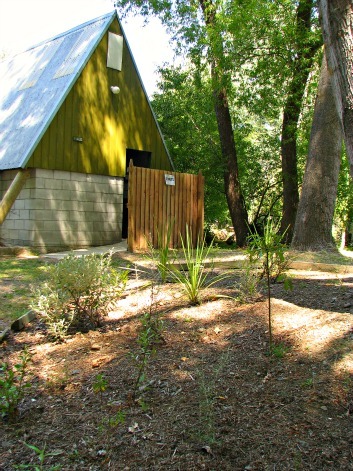 There are bathrooms nestled among trees in the lower campground. There are clean bathrooms and shower facilities close to all of the bunk rooms and main camping areas. All showers have both hot and cold running water. Toilet blocks are close to all kitchens, tent sites, bunk rooms, concert lounges and hall. Toilet paper and hand basin soap only are provided. Please provide your own toiletries.